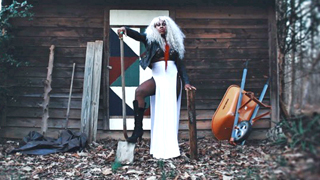 This short film takes viewers into the heart of Southern and Appalachian communities to witness the lives of queer-identified folks as they navigate surviving in regions notorious of homophobia, transphobia, racism and fervent evangelicalism. Without dialogue, the short allows audiences to draw their own conclusions while evoking the feel of authentic queer resilience and magic. It’s Hannah’s first day of high school. It’s also the first day she’ll wear a girl’s school uniform and go by her chosen name rather than the boy’s name she was given at birth. Dani is a non-binary ‘dragtivist’ of Sri Lankan heritage. Living in San Francisco, they began to explore their relationship to sexuality and gender. After a lip-sync battle win, Dani Boi emerged: a drag king challenging oppressive gender norms. Between chaotic onstage performances and their own personal struggles, Dani fights to be a vital voice for a community in need. Alex, a troubled and isolated teenager, finds a true and supportive friend in Hendrik, his sister’s boyfriend. When Hendrik and Annelies announce their plans to leave the family home, Alex must face what is troubling him. A trans woman must dress like a boy to say goodbye to her dying grandmother in Texas. 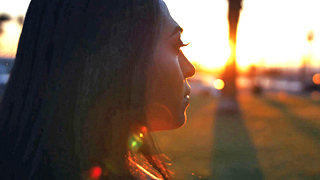 This documentary short follows a young Transgender woman from Mexico as she makes her life in Los Angeles. We follow Mariana through the struggles and successes of her life, during her transition, dealing with dating, her conservative family and society around her.